CBOE has decided not to list any new bitcoin futures, with the last contracts expiring in July. Does this mean that BTC futures are dead? Not at all — CBOE’s biggest competitor, the CME, has simply won the game. In charts you can see the competition in volume over the last year, with CME’s product steadily taking the lead. Why did this happen? The short answer is product quality and network effects. The decision to use an auction price from Gemini, rather than CME’s approach of building a reference rate from several constituent exchanges, was a primary cause of poor product quality. And once traders shifted away from the product, network effects at the other venue kick in, creating lock-in and returns to scale. 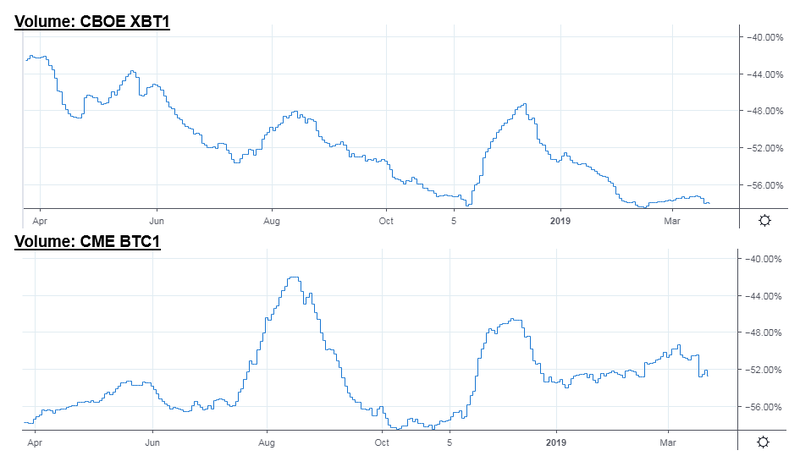 More broadly, we have seen network effects around the top 10 crypto exchanges wreak havok on the rest of the industry. Of the 250-500 exchanges out there, 20% had no trade volume of any kind in the last 24 hours, and less than 1% had volumes over $1 billion. Over the last 8 years, 60 exchanges (and likely more) have been forced to exit the industry. 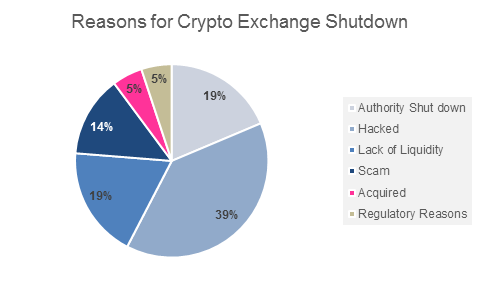 While 75% of those exits are due to forced shut-downs by authorities, hacking, or outright scams — 20% have exited due to a lack of liquidity. A lack of liquidity is a synonym for losing on network effects, akin to a social media app not bootstrapping enough users. Further, 5% of the exited exchanges have been acquisitions for others, like Circle and Coinbase. This again points to the winner-take-all nature of the market. What’s the solution? In finance, brokers are the user platforms that provide best execution across exchanges. And distributors aggregate consumers, manufacturers create product, and the two functions are integrated through FIX APIs, processing software, and various other value chain intermediaries. If we want portability across liquidity pools in crypto capital markets, and especially over decentralized exchanges, understanding the separation and empowering each function (rather than vertically bundling everything) is the key. Coinbase's crypto custody "open for business"